PodOmatic | Podcast - Big Boat Radio Show 660 AM KSKY - Their Back!! www.thebigboatshow.com Talk radio show about unplugging and getting out on the water. Seasoned radio host Dennis Gibbs (Fully certified Marine Surveyor) Talks with Co-host Big John & our guides about what is hot in outdoor life. Lake Level Ginger gives the latest lake info and producer Drew Hess keeps our wheels on for a wild hour of talk radio. 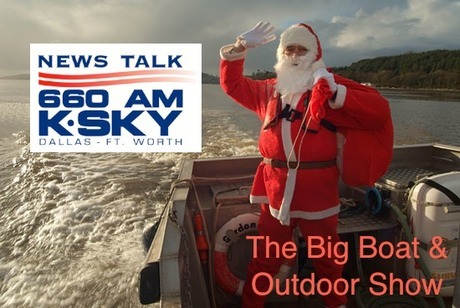 The Big Boat & Outdoor Show on 660 AM KSKY. Boating, fishing, hunting and the outdoor life! It's that time! The Big Boat & Outdoor Show is back on the air... live! The timing couldn't be better to talk about winterizing your boat and its engine. 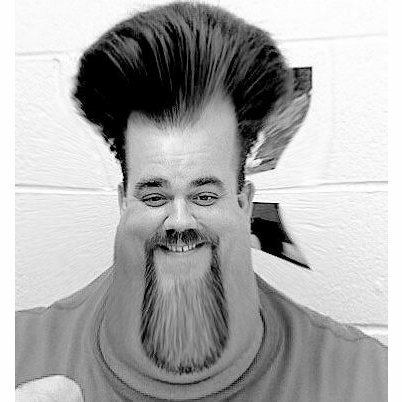 Tune in this Saturday evening at 6pm while Big John and I share many helpful tips for protecting your prize posession. We could possibly be saving your boat's life! 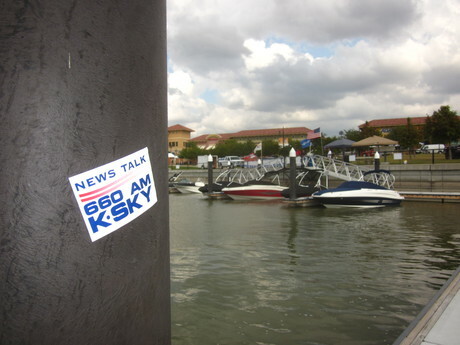 This week on "Dock Talk," we'll discuss what north Texas marinas and boat dealers do during the month of December. Until then, welcome the rain, and boat safely! BoatUS estimates that Hurricane Irene, which ended up being a "low grade" hurricane, caused approximately $500M in damages to boats alone. Tune in tomorrow evening to hear details and to better understand the storm's impact to east coast boat owners. This Saturday on "Dock Talk," we'll discuss the lawsuit involving the creator of Fountain boats. Reggie Fountain wants what is his... or is it? Tune in for more! We'll also take some time to remember those lost in 9/11 10 years ago. As always, we invite you to call 866.660.KSKY (5759) after 6:30pm to share your opinions and personal experiences live on the air. Blue Green Algae Closes Lake Texoma??? I feel it's necessary to warn everyone about a boat buying scam that I recently read about in the August/September 2011 issue of BoatU.S. Magazine. The scam pertains to an individual who poses as the owner of a boat and is seeking a potential buyer. This "boat owner" sounds approximately 55 years of age with an eastern European accent. While none of the scams have happened to Texans, that could easily change given the large number of Texans who boat and look for boats to purchase online. One of the victims found the boat he was wanting to buy on a popular website. Tune in this Saturday evening to hear more details. We analyzed the water levels of 13 local lakes over the past 8 weeks. During the first 4-week period, the lakes measured, on average, 1.5 feet below their normal elevation levels. Tune in this Saturday evening to hear about the signifanct changes in the second 4-week period of our study. How has 20+ days of 100+ degree temperatures affected the study's results, and what does this all mean for you and your boat? This weekend is your last opportunity to check out the 2011 Dallas International Summer Boat Show! Click on one of the links at the top or bottom of this page for more information and to print your $2 coupon! Beat the heat - go boat indoors at Dallas Market Hall this weekend. This Saturday on "Dock Talk," we'll discuss the "nosey neighbor." 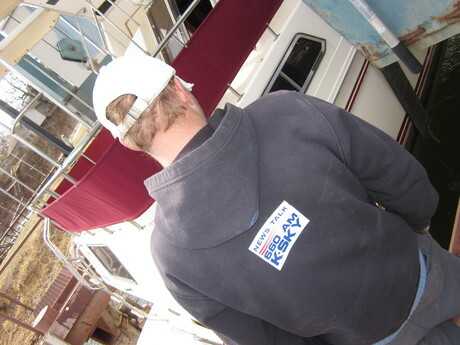 Is he really being nosey or just a curious boater wondering what you're up to as you work on your boat? 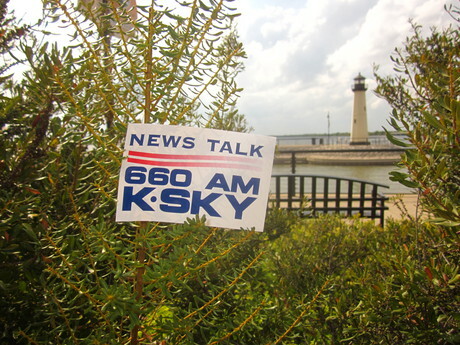 As always, we invite you to call 866.660.KSKY (5759) after 6:30pm to share your opinions and personal experiences live on the air.